With Britain’s small businesses predicted to be worth £241 billion by 2025, when it comes to business, the future is bright for the agile business. According to the Federation of Small Businesses, SMEs accounted for 99.3 per cent of all private sector businesses at the start of 2017 and at least 99.5 per cent of the businesses in every main industry sector. Year on year we continue to see businesses flourish and grow. Unsurprisingly, working environments and the needs of businesses are constantly evolving and we are acutely aware of the business need to keep up to date or even ahead of the times. All businesses need to be well equipped with the ability to adapt and change quickly. 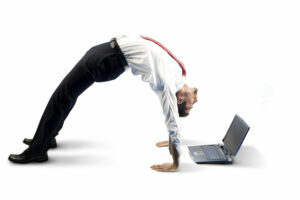 At Flexspace we strive to be agile and adaptable to ensure we can meet our customers’ needs. The commercial property industry has seen a growth in demand over recent years for flexible workspace and the need for greater agility to accommodate the growing, ever-changing needs of today’s businesses. With a wide variety of workspace now offered by commercial property providers, businesses are in an advantageous position and look to take up space on their terms when it comes to size, space and length of contract. With a diverse portfolio of flexible workspace available, Flexspace is set up for business owners like you. We provide private office space to accommodate one to a hundred or more desks. We also offer multi functional business units suitable for light industrial use. In addition, we also provide warehouse space, self storage units, meeting rooms, virtual office services and coworking spaces. 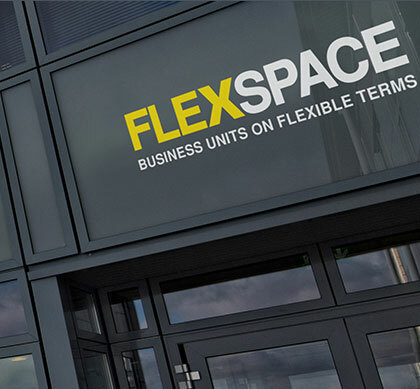 Throughout 2018 Flexspace has been busy making changes and improvements to its business centres across the UK, to accommodate the ever-changing needs of today’s businesses. In many areas we have seen an increase in new start ups and organisations looking for 1 – 4 person offices, to meet this demand we have divided larger unoccupied office space into smaller offices and coworking spaces. On occasions, we have found businesses seeking a different type of space to those we have to offer, where possible we have tried to adapt our business units, as well as create new units to match demand and satisfy a wider range of business needs. We are also pleased to provide a number of new and refurbished breakout areas in many locations. Businesses can use these spaces to hold informal meetings, product launches and networking events. These areas have been a welcome addition to our business centres, we do hope you will join us at future networking and charity events which we plan to host. If you’d like to join other thriving businesses at one of our fifty nine Flexspace locations across the UK, please get in touch on 0800 033 4444 or email us. We’d be delighted to discuss your requirements and the various introductory deals we have for new clients.